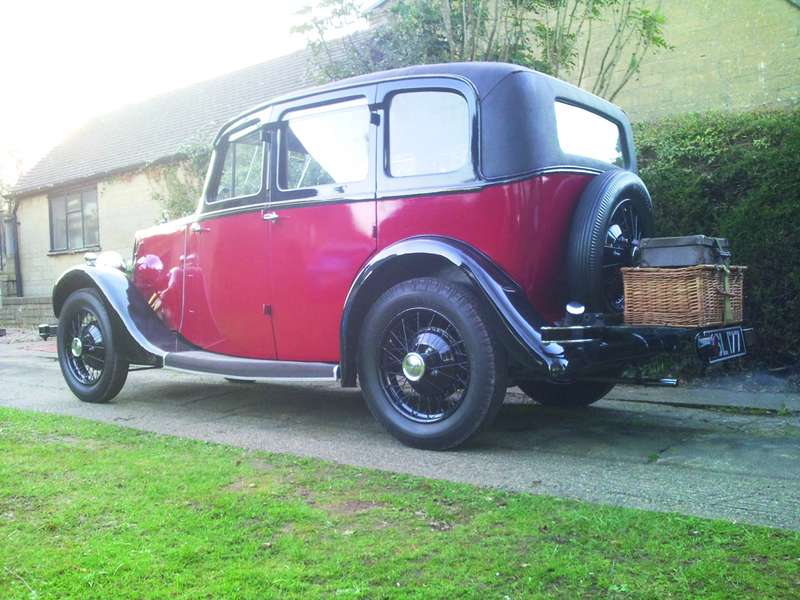 I purchased this lovely, 1935 Mulliner six light saloon in January 2012 from a fellow DLOC member who responded to my wanted advert. The Lanchester had received some light restoration many years ago and has the appearance of a lovely original motor car. The vinyl roof covering, front seats, headlining and carpets have been re-upholstered and are now weathered, giving that lovely, slightly used appearance. The rest of the car is largely original. 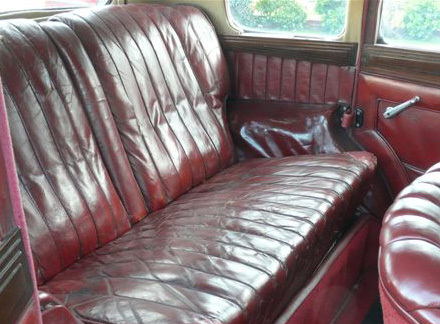 The Lanchester had not been on the road for around six years but was in running condition. The car was driven on and off the trailer. 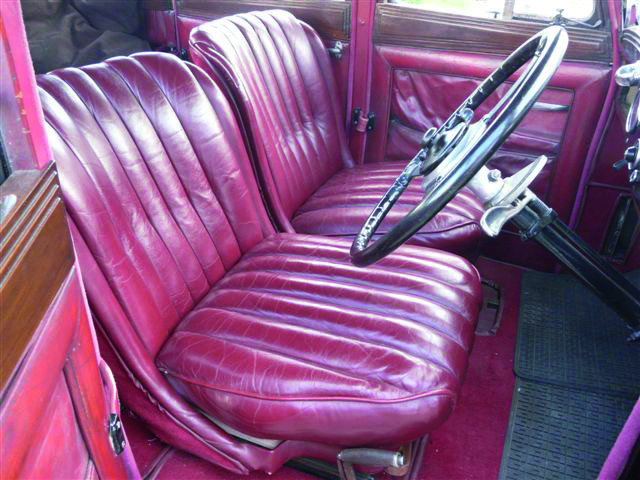 The Lanchester 10 was originally announced eighty years ago in 1932, the first models were fitted with hydraulic brakes, this model is the second incarnation of the ‘Ten’ and has rod operated brakes and a modern ‘pull on’ handbrake. The Mulliner coachwork is slightly different on the later model, as the screen slopes whereas the earlier ones were ‘square rigged’. 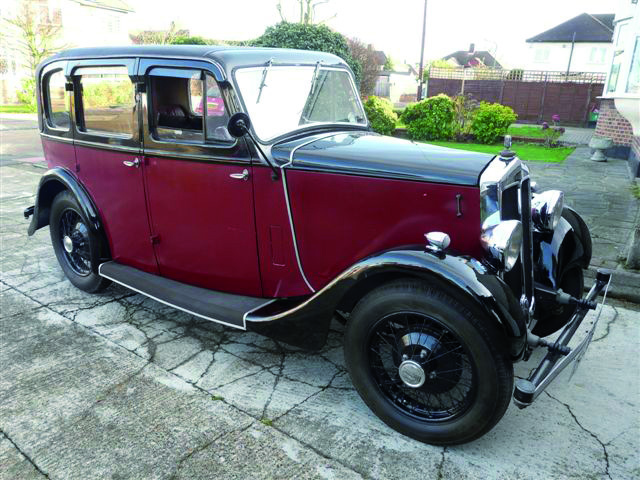 The Lanchester 10 was Daimler’s best selling car of the mid 1930’s, these small, high quality saloons were and still are, excellent value for money, often fetching less than a common or garden Austin 7! Built to a very high standard for an ‘economy car’, they are very easy and pleasant to drive. The LA10 has pleasant, light steering and a comfortable driving position, like many cars of this era the front screen opens to allow a good flow of fresh air, the front side windows have no winding mechanism, but simply slide up and down. The Lanchester has been purchased with the intention of putting it on the road for immediate use, no restoration work is planned, although I am sure that I will find time for some small improvements. 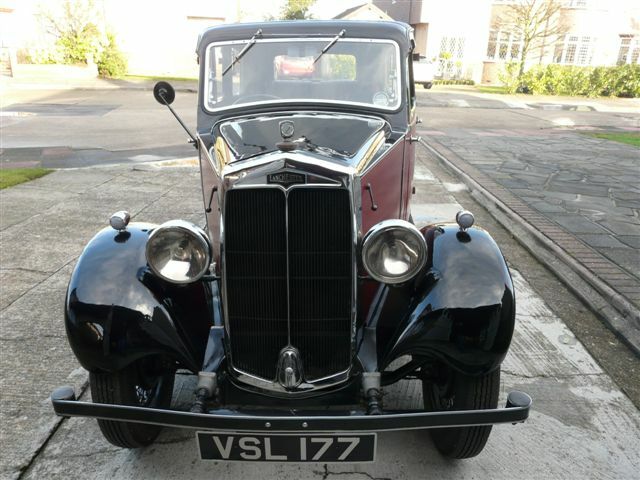 I will add more information as I progress with the reinstatement of this lovely little car. 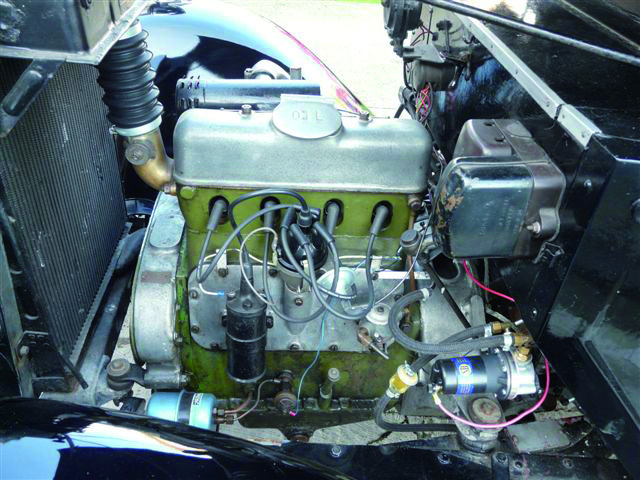 Although purchased as a runner, the Lanchester has been off the road for around 6 years and the engine felt lumpy and unwilling to pull as it should. I have now carried out a grease gun service and checked all fluid levels, fitted a new set of sparking plugs, cleaned and adjusted the carburettor, lubricated the distributer, cleaned and set the contact breakers, checked and cleaned the ignition cap and all ignition leads and fitted a new (old stock) rotor arm. Following this care and attention, the engine fired up readily and soon settled down to a nice even tickover, an hours run around the common had the engine up to working temperature, it seems to be all good the car handles nicely, the gear changes in particular, are light and precise. The performance is rather sedate compared to the later post war LD10, but you must bear in mind that the post war 1287cc LD10 has the advantage of over 40bhp as opposed to the 32hp produced by the 1203cc pre-war model and is of course much lower powered than the 14hp and 18hp Lanchesters that I have also owned. However the ride quality and comfort levels compare very well. M.O.T day – enjoyed a good run out on a fine sunny afternoon which really put a smile on my face, the performance is certainly not stunning but the little car kept up with the traffic pretty well. The MOT was achieved with just a couple of advisories (steering and kingpins have some slight wear). The underside of the Lanchester is in perfect condition, with absolutely no corrosion. The return journey was made as darkness was falling and as the journey progressed, the car became smoother and the ride more enjoyable, the engine ran at the correct operating temperature, there were no nasty noises and nothing fell off! I have now used the little Lanchester for many short stop, start journeys and have found that the engine is a fairly poor performer until warmed through, once up to working temperature, it takes on a whole new personality, it is smooth and willing. Unlike the larger cars, it is necessary to use the gearbox, this is no great hardship as it is delightfully light and easy in operation, changes being smooth and quick. What a great little car! The Lanchester Ten has a nice light weight, cross braced chassis, which, like all chassis built by Daimler, is of high quality and unlikely to suffer from corrosion unless neglected. 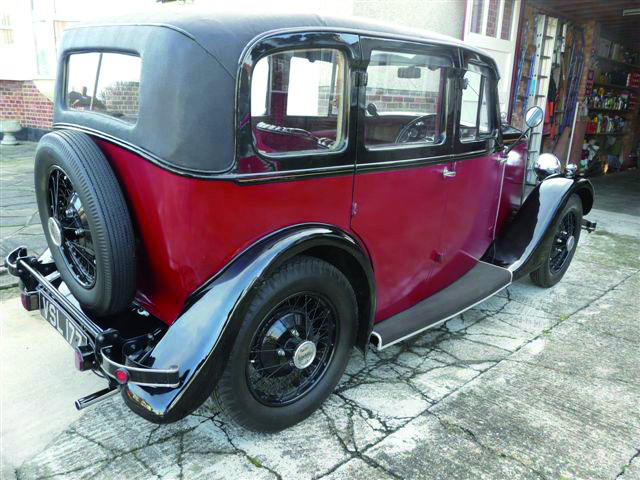 The bodywork on the standard saloons was built by the coachbuilder Mulliner to a high standard for a car of this type and size. The usual checks for corrosion should be made, but my experience of these little Lanchesters is that they seem to stand up pretty well to the passing years. The floors are plywood and can de-laminate and become infested with woodworm – replacement is very straightforward as the floor is completely flat. The engines are simple and easy to maintain, an ohv 1203cc unit with a detachable cylinder head which is fed by a single S.U. carburettor. Cars for the home market were not fitted with a cooling fan and very early models did not even have a thermostat, however by the time this model was manufactured an adjustable one was fitted as standard. A cooling fan was available to overseas buyers and a fixing point is evident on the front of the engine block. 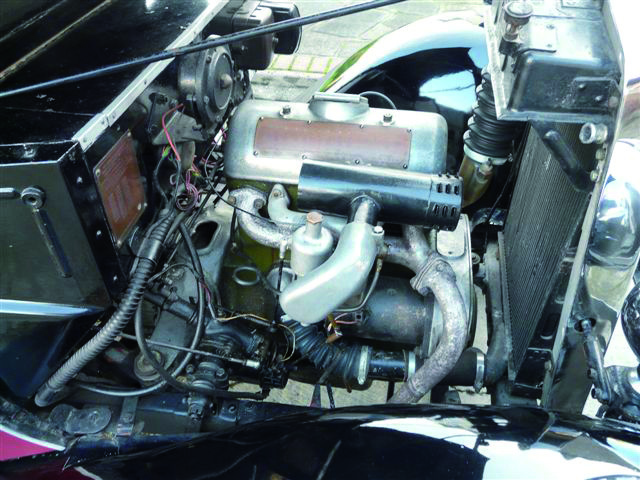 Many cars have been retro fitted with a cooling fan, usually an electric version, this is a sensible modification, although the car should certainly not overheat in general use, it is likely to suffer on hot days if left idling for long periods, I have to point out that this little Lanchester has (so far) not over heated. Gearboxes are tough and reliable, although the fluid flywheel seal will inevitably leak and require replacement at some stage, an engine out job, but with such a tiny unit, blessed with excellent access due to the easy removal of the bonnet and side panels, that should not be a cause for great concern. The under-slung worm differential on my car is quiet and smooth, but I have heard of other owners who have experienced problems in this area. The diff’ would be expensive to repair, with replacement parts being difficult to come by. Brakes, steering and suspension hold no fears and are as good as any fine quality car of the era, the LA10 does not have a built in lubrication system but relies upon the more usual application of a mechanics grease gun, if service intervals are correctly observed all components will give many years of good service. Interior is expensive to refurbish. 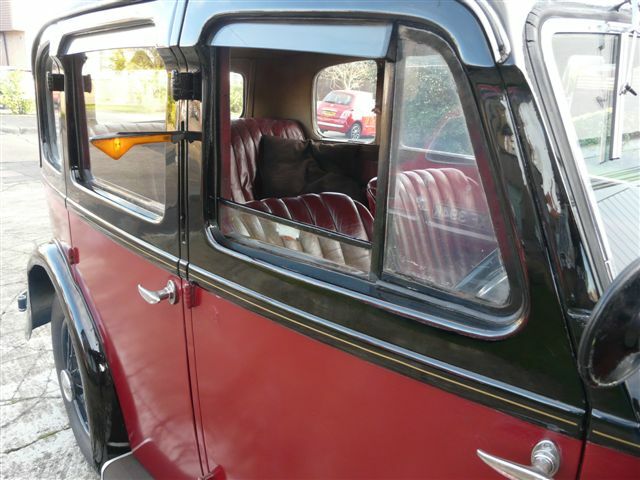 The interior has a lovely combination of woolen carpet and headlining, with full leather seating and beautiful art deco wooden door fillets and dash board, all of these items can be expensive to repair. I would shy away from a car with a poor interior, these fantastic motor-cars are fairly inexpensive and a full professional interior renovation could out strip the cars re-sale value. A good useable, slightly scruffy interior is preferable to a cheap reproduction in poor quality material. Perfectly proportioned, the LA10 is a handsome car. 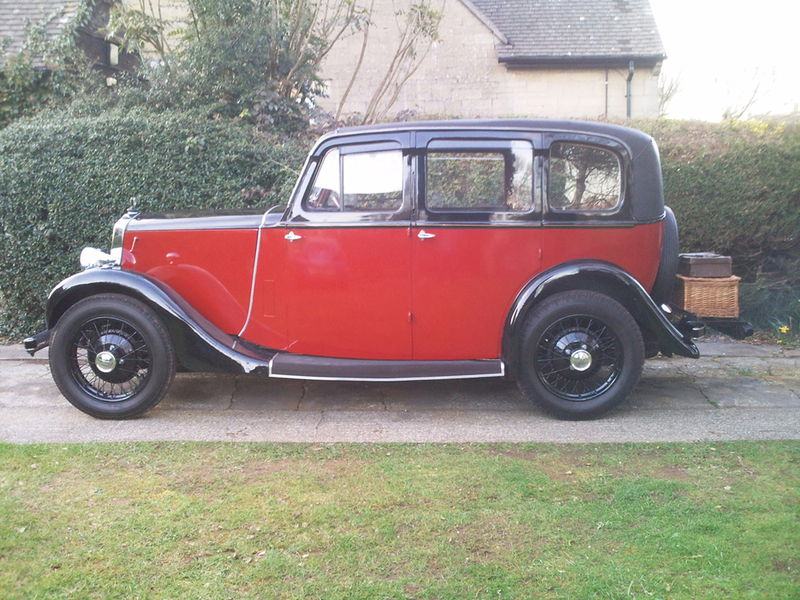 If you are thinking of getting a pre-war car for the first time, I would highly commend one of these lovely cars, fairly big for a ten horsepower, the all round vision is excellent, much better than you might expect. The car is easy, yet fun to drive, it’s pre-selector transmission is truly delightful and easy to master – bear in mind that most, if not all other cars of this class will have a ‘crash’ gearbox, which modern drivers will find challenging to say the least. No driver, however competent, will get better gear changes from a crash box than he would from a Wilson pre-selector with fluid flywheel. I am so pleased with this luxurious compact car that I am very keen to own one of the pretty coach built coupes that were popular in the 1930s. If you would like to know more about the Lanchester Ten or have a coupe version for sale please contact me using the form below.